Transpersonale Akademie | Change your mind, change your life. My name is Ralph Wilms and I accompany individuals and companies since 30 years as a transpersonal coach, mentor and trainer, on their path to a life of fulfillment and meaning. In my work I combine practices from Eastern traditions with Western techniques of psychotherapy. The East gives you equanimity, inner balance and access to the self. The West frees you of old conditionings, fears and limiting beliefs. 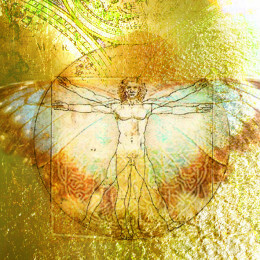 Activate the transpersonal self – your hidden 2nd operating system, build into your brain. Short intro into the content of the transpersonal coaching course, which will take place in English in the near future. Today people more and more spontaneously experience altered states of consciousness through excessive sport, crisis, meditation techniques or a waking up from conventional conditioning. Transpersonal Coaching supports clients to understand and digest these experiences, to move safely into the unknown without getting caught in fear. Transpersonal coaching also helps to create a larger frame of reference for the psyche, to create a space between the “little me” and the higher self. The transpersonal coach is rooted in the ground of his being and meets his client in the vast space of compassion, wisdom and openness. At the core of transpersonal coaching lies the knowing that there is no other and that the self ultimately is an illusion. In many spiritual traditions this is called the non-dual realm, where the sense of separation is understood as a preliminary state of consciousness and the interconnectedness or oneness of all existence is experienced as the ultimate reality. The roots of transpersonal psychology go back to William James, C.G. Jung, Jean Gebser, Ken Wilber, Stanislav Grof and all spiritual traditions worldwide. The main research area of transpersonal psychology have been extraordinary states of consciousness, but is has become obvious that the so called “normal state of consciousness” is limited in many aspects. It lacks compassion, systemic understanding of reality, fulfillment, wisdom and many other capacities which naturally emerge with inner growth. The focus of my work lies not so much in the various theories and models of transpersonal psychology, but in the methods and techniques which can be applied in daily life.